Though the party still sticks to its stance on holding the next general election under a neutral government, BNP is likely to gradually shift its main focus on army deployment and dissolution of parliament for ensuring fair polls. Some BNP senior leaders hinted that they may finally retreat from their election-time supportive government demand if the ruling party reaches an understanding with them through talks over holding the polls under an administration, led by some one else, instead of current Prime Minister Sheikh Hasina. In that case, they said their party's main demands will be amending the Representation of the People Order (RPO) to define the armed forces as the law enforcement agencies, dissolving the current parliament three months before the polls, withdrawing political cases filed against their party leaders and activists and restoring the pre-2008 delimitation of 300 parliamentary constituencies. In her address to a public rally at Suhrawardy Udyan on November 13, BNP Chairperson Khaleda Zia also repeatedly highlighted the deployment of army with magistracy for an acceptable election. "We're ready to make a big compromise if the government agrees on a little compromise, and sits in talks with us. We'll have no other alterative to taking to the streets, if the government tries to hold another farcical election like 2014 one," a senior leader closed to Khaleda said wising anonymity. 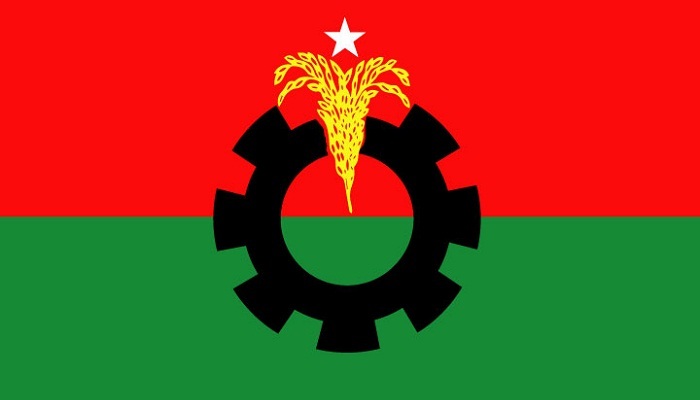 Contacted, BNP secretary general Mirza Fakhrul Islam Alamgir said they are not presenting their party's framework on election-time non-party supportive administration now as the government is still rigid on holding polls without amending the constitution and dissolving parliament. "We'll unveil the framework observing the attitude of the government. We're ready to hold talks with the government to reach an understanding over holding the next polls in a credible way," he said. The BNP leader said their party believes an effective and acceptable way for holding the 11th parliamentary elections in a fair manner with the participation of all parties can be found through a dialogue. He, however, said the election will not be meaningful one if it is held under the current Prime Minister without dissolution of the current parliament and deployment of army. BNP standing committee member Khandaker Mosharraf Hossain said they will mount pressure on the government to change its current 'rigid' stance on holding the election under a partisan administration through mobilising public support. Asked whether they will accept if the government urges them to join the 'all-party' election-time government, he said it can be discussed if the government arranges a dialogue. The BNP leader said they believe army deployment and dissolution of parliament, restoration of the boundaries of parliamentary constituencies drawn before the 2008 election, creating a level-playing field, withdrawing the cases against their party men are crucial to hold the election in a fair and acceptable manner. He said their party will not budge from its demand for bringing amendment to the RPO for including the defence services in the definition of law enforcers for ensuring the presence of army at polling stations. BNP another standing committee member and former army chief Lt Gen (retd) Mahbubur Rahman said their party thinks army presence is a very big factor for holding the next polls in a free and fair manner. He said their party has been demanding for army deployment with magistracy power during the general election. "It's a matter of discussion whether the army should be given the magistracy power or not. But their deployment is a must for fair balloting and checking violence." The BNP leader thinks keeping army as a striking force during the polls will not be an effective step for ensuring a credible election. BNP standing committee member Amir Khasru Mahmud Chowdhury also thinks it will be a dangerous venture for their party to join the next election without deployment of army and dissolution of the current parliament. He said Awami League wants to keep army out of field as it doesn't want to hold a fair and credible election. "The government will make a big mistake if it thinks to hold another lopsided election to perpetuate power by force."